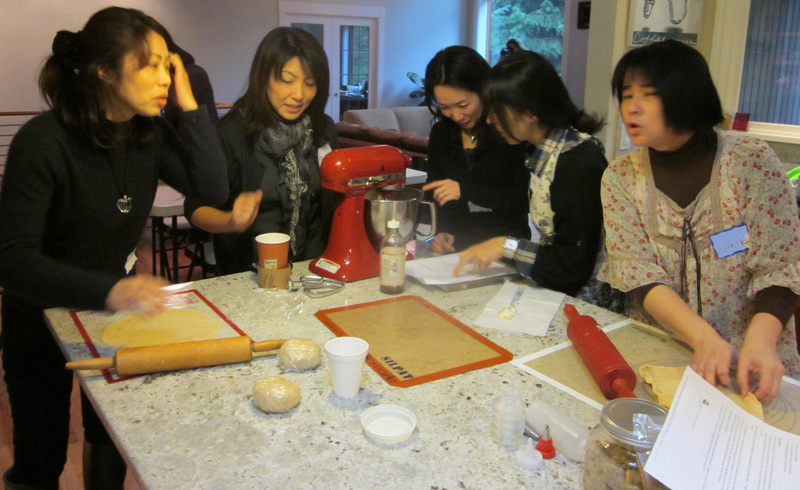 Yesterday, my fellow English conversation class teachers and I held our second annual Valentines baking event for our adult students. We learned from last year’s experience that this year we needed to simplify. Instead of baking five kinds of cookies, we decided to have no more than three baked goods and to prepare two out of the three ahead of time. 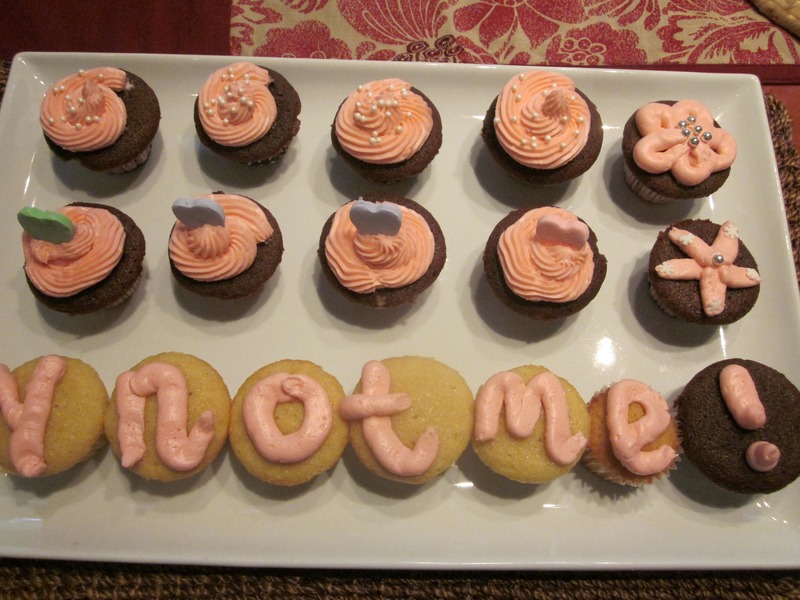 I brought shortbread that I baked at home and the hostess made cupcakes. This lowered our stress levels (mine started out low, because we were in someone else’s kitchen this year) and gave the students plenty of time to make icing and decorate both kinds of treats. The group made rugelach, a Jewish dessert, together. It’s a rolled crescent-shaped cookie made from dough filled with a mixture of marmalade, nuts and cinnamon. I love doing this event, because it gives students a great opportunity to talk to people they don’t know, create, learn the vocabulary of cooking and cookware — as in “tablespoon,” “spatula” and “whisk” — and take home treats for their families. And when they stick candies that say “Be mine” into their cupcakes and squeeze icing out of a tube into the shape of a heart, they also learn more about a popular American tradition. 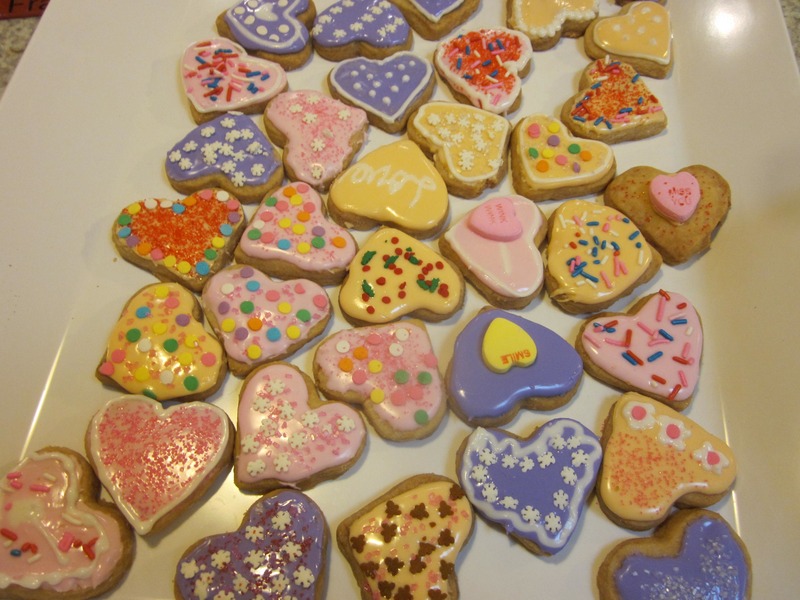 This entry was posted in arts and crafts, current events/themes and tagged cupcakes, English conversation, English language learners, valentine's day; baking cookies. Bookmark the permalink.